By surprise ZTE has just launched the market, being our country one of the chosen, this new model that seeks to conquer an increasingly large and demanding public that demands a smartphone with an elegant design and lasting autonomy without having to pay more than half salary for it. This is the new ZTE Blade A6 with 5,000 mAh battery. As you can read in the headline of this news, the most striking of the ZTE Blade A6 is undoubtedly its exceptional battery. With a capacity of 5,000 mAh, the smartphone promises two days of intense use without having to charge the smartphone. In addition, this component has an ultra fast charging system that will avoid the long and habitual waiting to be able to use the mobile again. Regardless of the design of the smartphone, the Chinese brand knows that the young public a mobile phone "goes through the eyes". That is why ZTE wanted to take care of the design by presenting a smartphone 8.9mm thick and only 160 grams in weight (despite its large battery). The price does not allow to enjoy a smartphone without frames, a curved display of 5.2 "with Full HD resolution that allows you to display your favorite contents in detail. In addition the mobile also incorporates an integrated fingerprint scanner in the rear to improve its security and unlock system. The ZTE Blade A6 has an octa-core processor (4 × 1.4GHz + 4 × 1.1GHz) with 2 GB of RAM and 16 GB of internal memory, expandable to 128 with MicroSD card. 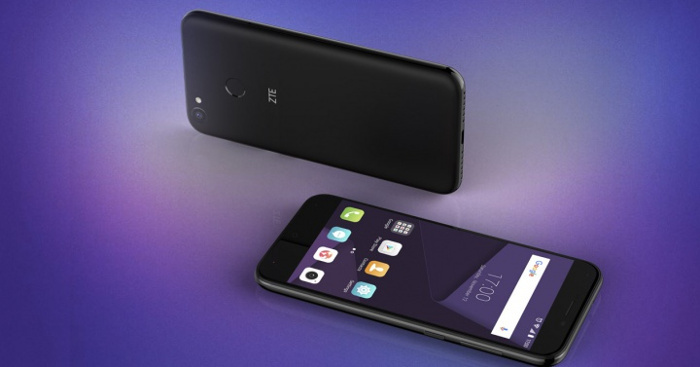 As for the operating system, it was expected that ZTE did not include Android Oreo, but the mobile flows with custom Android Nougat to offer a greater possibility of user control. Then we leave a complete gallery of the new smartphone from ZTE to take a look at the smartphone from all angles. As for its cameras, ZTE again bet on the photographic quality by having a 13 Mpx rear camera with flash and CMOS sensor. With regard to the front camera we find a sensor that reaches 8 Mpx and has FF as well as special processing software with which to get the most out of the selfies. The smartphone completes a MicroUSB port, a headphone jack, GPS, WiFi 802.11 b/g/n, Bluetooth 4.0 and FM radio. The device is now available for sale in black at a price of 179 € exclusively in Media Markt stores. In coming days, ZTE hopes to announce the arrival of the smartphone in other colors to increase differentiation. 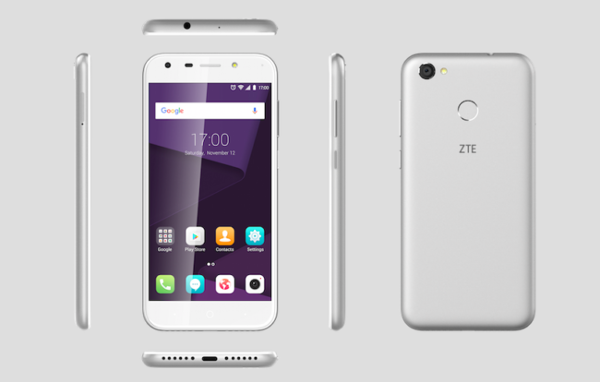 Among them we can find the ZTE Blade A6 in white and gold, as shown in the smartphone images included in this article.